E-commerce is predicted to account for 17% of all U.S. retail sales by 2022. 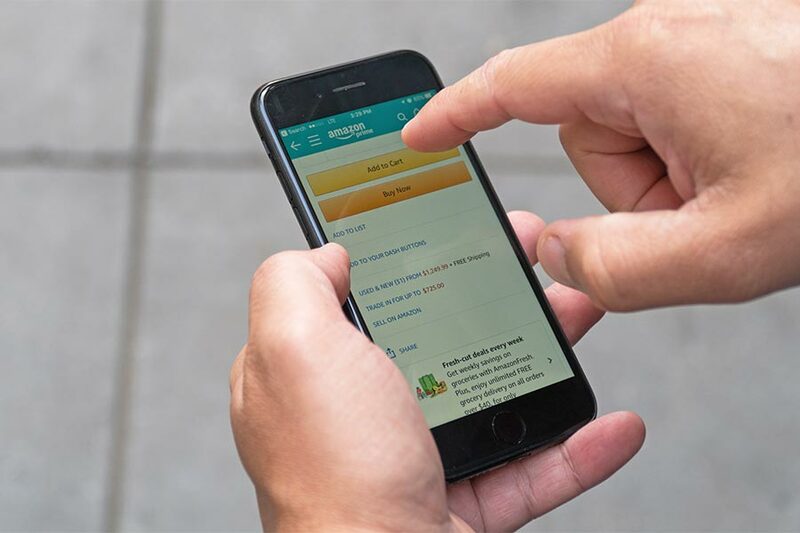 With Amazon at the helm of the industry, it’s go-time for sellers to get on board with several aspects of online retail such as digital marketing, optimizing for mobile, business process automation, and establishing a brand that can endure the test of time in order to stay in the game. However, understanding the ins and outs of the Amazon Buy Box will always be top priority for competitive third-party sellers, due to its high-impact on conversions. As there is no limit on the number of sellers or the amount of products that they can offer on Amazon’s marketplace, the same product is often sold by many sellers, each competing for the maximum amount of sales. Most consumers buy items through the Buy Box section (the white box on the right hand side of the page) on the desired product page. When a consumer proceeds to buy the product through this section, the seller which is highest ranked by Amazon at that time will show up there. The Buy Box winner will go on to make more sales than any other seller for that product (unless of course there are multiple high-ranked sellers – then, they will rotate in the Buy Box, each gaining their share of product sales). Aligning with Amazon’s customer-obsessed mantra, the Amazon Buy Box was created in order to give the customer the best possible value for their money. It determines which product offering promises the best balance of high seller performance and low price. Over 80% of Amazon website sales today go through the Buy Box, and this number increases with Amazon mobile sales. It is therefore imperative for competitive sellers to understand how Amazon determines who acquires this coveted spot, as it has a direct impact on profitability. A seller can only compete for the Buy Box if they have a Professional Seller account and are “Buy Box-eligible,” a status awarded to experienced sellers who have spent time selling on the Amazon platform and possess high levels of performance. Other requirements needed in order to compete for the Buy Box are selling new items rather than second-hand, and making sure that there is enough available stock. Once a seller has the ability to compete for the Buy Box, they have to learn exactly how to win it. We know that Amazon’s algorithm compares multiple variables of each offering to determine which gives the best overall value to the customer. The weights assigned to each variable can change on a product-by-product or a category-by-category basis, so even though a seller could be losing to a competitor on one product, the same seller could be beating that same competitor on another unrelated product. There are many variables that Amazon takes into account, including fulfillment method, landed price, shipping time, availability, Perfect Order Percentage score, among others. The key is to invest your resources in the ones that make a bigger impact on the Buy Box. How Does Feedvisor Help Win the Buy Box? In order to stand out on Amazon’s crowded and competition-filled marketplace, sellers need to be constantly dialed in to the latest policies, market trends, and advertising mediums. Additionally, sellers need to have a per item pricing strategy in order to make sure that they don’t lose money where they could be making it. Price heavily impacts the Buy Box, and therefore getting to the right price is crucial. With that, Feedvisor offers an algorithmic repricing solution for Amazon sellers. Essentially, the tool automatically changes sellers’ product prices according to the dynamic and constant changes in the market. Through self-learning algorithms that continuously improve and learn from each individual situation, the algorithms will find the best prices for your products, helping you maximize sales and overall profits without running the risk of human error.